David Avery’s story brought tears to my eyes. I have never met a modern Pastor like him. : — His Birth And Character. — Converted Under Whitfield. — Leaves His Trade To Study For The Ministry. — Enters Dr. Wheelock’s Charity School. — Graduates At Yale College. — Studies Divinity. — A Missionary Among The Indians. — Settled At Gaysboro, Vermont. — His Patriotism. — Raises A Company And Marches To Boston. — Made Chaplain. — Noddle’s Island. — Present At The Battle Of Bunker Hill. — Praying For Victory. — Accompanies Washington Through The Jerseys. — Wounded At Trenton. — At Valley Forge. — At Ticonderoga. — At Bennington. — His Death. David Avery was “gentle and kind in his manners, and with a heart full of tenderness, he had at the same time a bold and fearless nature which, when roused, it was dangerous to oppose.” He is highly honored by Washington for his heroic acts as a soldier and Minister of God. Most interesting is that this was a young man who worked hard to same money to go to college. The reason he wanted to go was that he became a believer in Jesus through the ministry of George Whitefield. 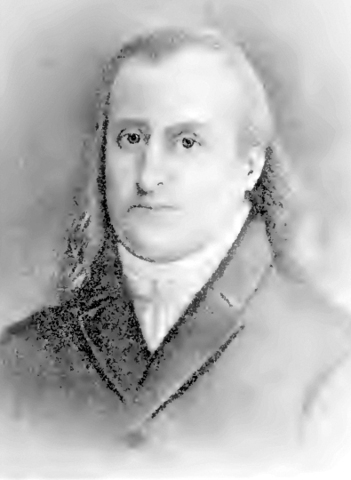 Avery’s passion for God’s work as a missionary was equal in effect to that of his actions as a Patriot. He raised a force of men from the steps of the church. Not only did he serve the wounded and dyeing but as Moses at war, raised his hands in prayer during the heat of battle. The Chaplains and Clergy of the Revolution is the Historical Fact that Christianity (see the link at the end) is the root of our American Heritage and a key factor in the inspiration of the Revolution. God governance is God’s governance and the Citizenry understood this. Those that were Chaplains and Clergy were not just religious mouth pieces. NO, They were warrior Patriots that spoke first the Word of God and then the musket or sword. I am reading this book as if to my Grandchildren. My great hope is that parents and Grandparents would do the same. I hope and pray more that Pastors would be in these tumultuous times as the same that these Founding Clergy and Chaplains were. Let us all learn and act according to the Blessing and examples they set for US in our Foundation. You can find the other chapters of the book by following the highlighted link to the Table of Contents here.